BOSTON – The Reference and User Services Association (RUSA) announced its selection for the 2016 Sophie Brody Medal, an annual honor bestowed by the Collection Development and Evaluation Section (CODES) of (RUSA), Sunday at ALA’s Midwinter Meeting in Boston. 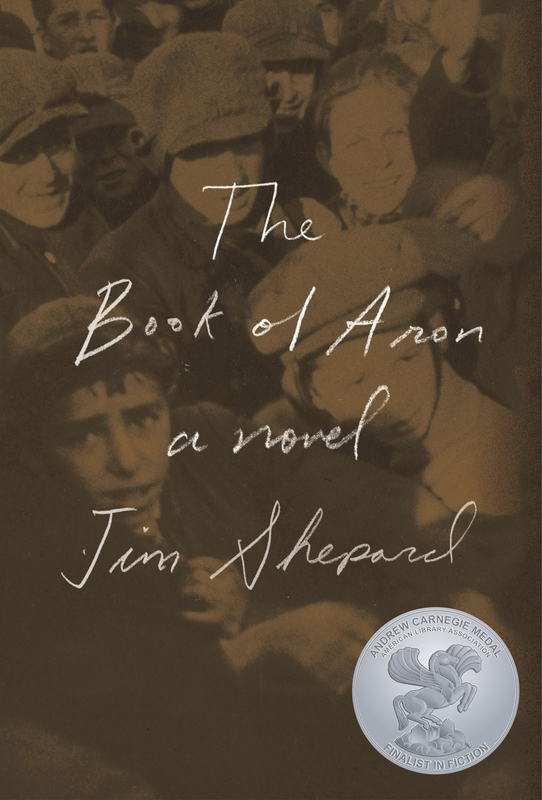 This year’s winner is "The Book of Aron: A Novel" by Jim Shepard, published by Alfred A. Knopf, a division of Random House. This book is an eloquent blend of fiction and non-fiction that recounts the story of the Warsaw Ghetto through the unvarnished voice of a child. Shepard's narrator, Aron, gives a chilling and realistic depiction of the progressive deterioration of his world. Shepard weaves Aron's voice with that of Dr. Janusz Korczak, a heroic historical figure dedicated to the welfare of the Jewish children in his charge. This is a haunting story of the Holocaust. Honorable mentions include: (1) "After Abel and Other Stories" by Michal Lemberger, published by Prospect Park Books; (2) "The Complete Works of Primo Levi" by Primo Levi and edited by Ann Goldstein, published by Liveright; (3) "The House of Twenty Thousand Books" by Sasha Abramsky, published by The New York Review of Books; and (4) "Killing a King: The Assassination of Yitzak Rabin and the Remaking of Israel" by Dan Ephron, published by W.W. Norton. The Sophie Brody Medal is funded by Arthur Brody and the Brodart Foundation and is given to encourage, recognize and commend outstanding achievement in Jewish literature. Works for adults published in the United States in the preceding year are eligible for the award. This year’s winner and honor books were selected by the Sophie Brody Medal committee: Edward Kownslar (Texas A&M University – Corpus Christi), chair; Donald Altschiller (Boston University); Emily Bergman (University of Southern California); Barbara Bibel; Jack Forman (San Diego Mesa College); Kathleen Gallagher (University City Public Library, Mo. ); Elliot H. Gertel (University of Michigan); Daniel Mack (University of Maryland); Mary Parker (Minitex, University of Minnesota); Adela Peskorz (Professor Emerita, Metropolitan State University, St. Paul, Minn.); Nonny Schlotzhauer (Pennsylvania State University); and Barry Trott (Williamsburg Regional Library, Virginia). The Reference and User Services Association (RUSA), a division of the American Library Association, represents librarians and library staff in the fields of reference, specialized reference, collection development, readers’ advisory and resource sharing. RUSA is the foremost organization of reference and information professionals who make the connections between people and the information sources, services, and collection materials they need. Learn more about RUSA’s Book and Media Awards at www.ala.org/rusa/awards.